Major oil producers led by Saudi Arabia agreed Monday to keep working together to prop up crude prices, but said they would decide only in June on whether to extend production cuts. 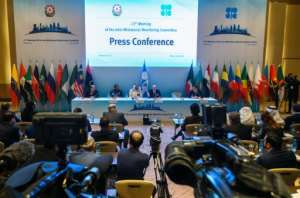 Meeting in Azerbaijan's capital Baku, members of the OPEC+ alliance said they would continue coordinating efforts to "stabilise" the oil market through production cutbacks. But they postponed a planned April meeting and said a decision would be made in June on whether to extend production cuts into the second half of 2019, once the impact of US sanctions on Iran and Venezuela is more clear. In a joint statement after the talks, members of the alliance stressed the need to "restore market stability and prevent the recurrence of any market imbalance" -- shorthand for keeping prices from dropping too low. The 24-nation alliance came together in 2016, when the Saudi-dominated Organisation of Petroleum Exporting Countries and Russia agreed on the need to limit production in the face of tumbling prices. The OPEC+ alliance has endured, with regular meetings and agreements to extend production limits, helping oil prices rise from around $40 per barrel in 2016 to an average of $70 per barrel last year. The meeting in Baku brought together the group's monitoring committee to review the latest extension, which saw OPEC+ nations agree to cut production by 1.2 million barrels per day from January to June. The committee was due to meet again next month but on Monday that meeting was postponed until May. The joint statement also said that the decision "on the production target for the second half of 2019" would be taken at an OPEC Conference meeting on June 25. The move to wait until June took place amid confusion over the impact of US sanctions on OPEC members Iran and Venezuela, with Russia saying more time was needed due to high volatility. 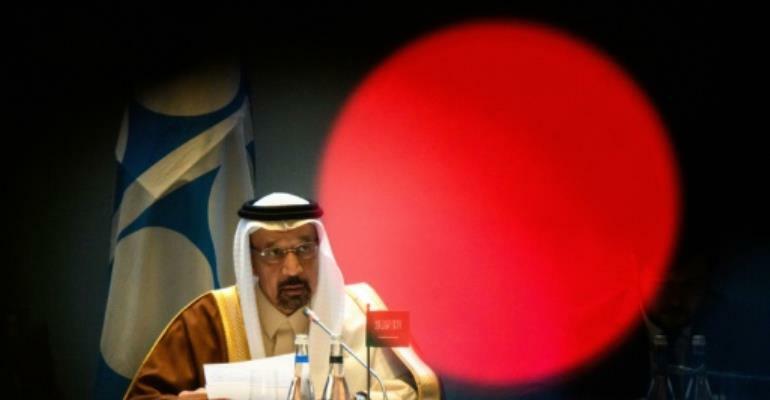 Addressing Monday's meeting, Saudi energy minister Khalid al-Falih urged OPEC+ members to maintain the alliance. "It is more important than ever that we continue to collaborate," he said. OPEC, and mainly Saudi Arabia, have made it clear they would like to formalise longer-term cooperation with Russia, though Moscow has been hesitant. Falih raised the issue again in Baku, saying that "institutionalising a framework for longer-term cooperation" was very important. The pact has breathed fresh life into OPEC and brought Russia new influence as an arbiter on the oil market. Creating the alliance was not an easy decision after years of fierce competition for market share that lead to overproduction. "We have to take these uncertainties into account in making decisions on the market," he was quoted as saying ahead of Monday's meeting. US President Donald Trump pulled Washington out of a nuclear accord with Iran in May last year and reimposed sanctions on Tehran. From late April, US companies and citizens will be barred from dealing in Venezuelan crude, as Washington ramps up punishment against President Nicolas Maduro's government.